In 1967, he volunteered for service with the Australian Army in the Vietnam War, and was told that seeing how he was only twenty years old, he would need the signatures of his parents in order to join the Australian Army. Yet the government was calling up males aged twenty no matter if they wanted to serve or not. This prompted him to simply "Adjust" his age by one year and the problem was solved and he was in the army. This action was to become a problem forty five years later. 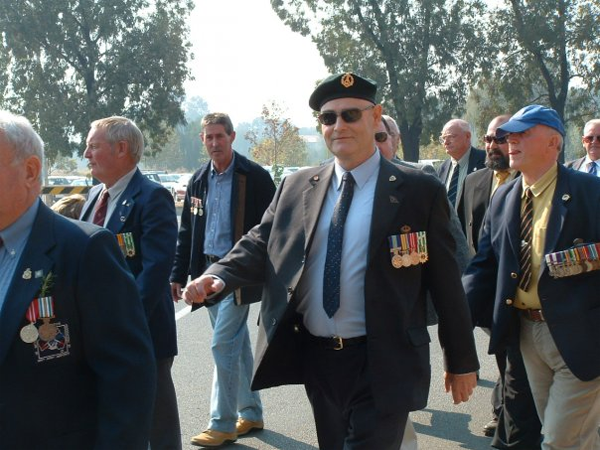 He went on to serve in the Vietnam War with the First Battalion royal Australian Regiment (1RAR) and continued to serve until he received a medical discharge ten years later. As a treatment strategy for diagnosed PTSD, he was instructed to undertake Tertiary Studies which resulted in his better management of PTSD and becoming a better person as a result. In time, he was to undertake the studies and now holds the Advanced Diploma of Mechanical Engineering and the Associate Degree of Civil Engineering and operates his own architectural and engineering drafting service, providing high levels of competent drafting work to all client as well as writing book. His first novel is "Full Circle for Mick" and this uses his experiences both in civil life and the military as a background. His second novel entitled "For the Love of Armin" is approaching completion and is curretly at 63,000 words with some more to be added before reviews and editing takes place.